This page is your update from Lifetime Fat Loss. Click on the rss button at the bottom of the navigation bar to the left to subscribe. You will be alerted to the latest information on my site! Fruit nutrition facts make clear that these super foods will help you lose fat! They are full of antioxidants, enzymes, vitamins and trace minerals. Continue reading "Fruit Nutrition Facts...you want to lose fat? 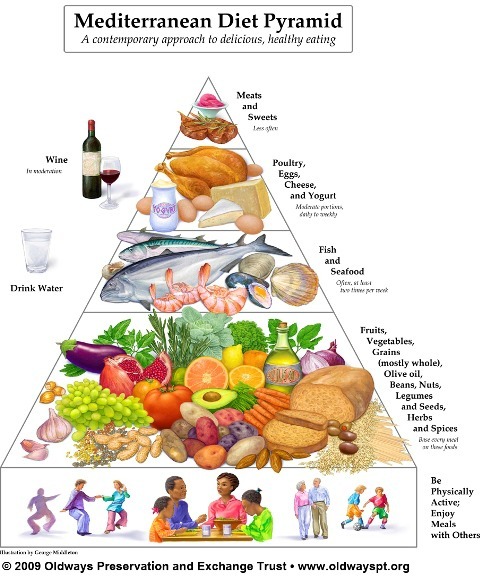 Snack on fruit..."
Here it is, the Mediterranean diet food pyramid, your low glycemic guide to lifetime fat loss! Your health AND your weight are directly affected by your nutrition. Continue reading "Mediterranean Diet Food Pyramid "
Kale Chips - healthy munchies for the low glycemic diet plan! Who knew that kale chips could not only taste like cheese but also be crunchy, crispy, flavorful...all the qualities you want in a good munchie? 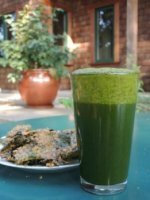 Continue reading "Kale Chips - healthy munchies for the low glycemic diet plan!" What About Canned Tomato Soups and the GI for Cantaloupe? Continue reading "What About Canned Tomato Soups and the GI for Cantaloupe?" Continue reading "Benefits of Using Smoothies in a Weight Loss Program"
Continue reading "Green Curry Recipe is one of our low glycemic recipes!" Healthy Juicing Recipes - juicing recipes for weight loss and optimal health! The way to permanent weight loss and excellent health is with a few healthy juicing recipes that you can make every single day! Continue reading "Healthy Juicing Recipes - juicing recipes for weight loss and optimal health!" Continue reading "Additional Low GI Food Items?" Sugar free desserts can taste good and not raise your blood sugar! The days are gone when you have to turn to sugar free processed foods made with sugar substitutes that taste terrible. Continue reading "Sugar Free Desserts: Use low glycemic sweeteners and not the "hidden sugars"..."